EcoTreasures is a Sydney, nature based company that specializes in ecotours. These tours showcase Sydney’s beaches, marine parks and mountains. Damien McClellan is the founder and owner of the tour company and it comes as no surprise to discover that he a big supporter of our native environment. Damien’s informative tours leaves his customers with a better appreciation of Australia’s unique wildlife, culture and heritage. Damien has purchased 189 trees for a favourite place of ours; the Flowerdale district of Murrinbindi (Central Highlands of Victoria). Through Fifteen Trees, Damien plants a tree for every corporate team member who completes one of his outdoor adventure tours. Thus making these activities completely carbon neutral. Of the 189 trees, 96 were planted on the behalf of the Team QBE ANZO and 93 trees were planted for Team QBE Group Finance. QBE ANZO and QBE Group Finance recently completed an team building outdoor adventure with EcoTreasures. These adventures are designed to bring teams closer together while enjoying the environs of Sydney. Well guarded trees at Flowerdale. 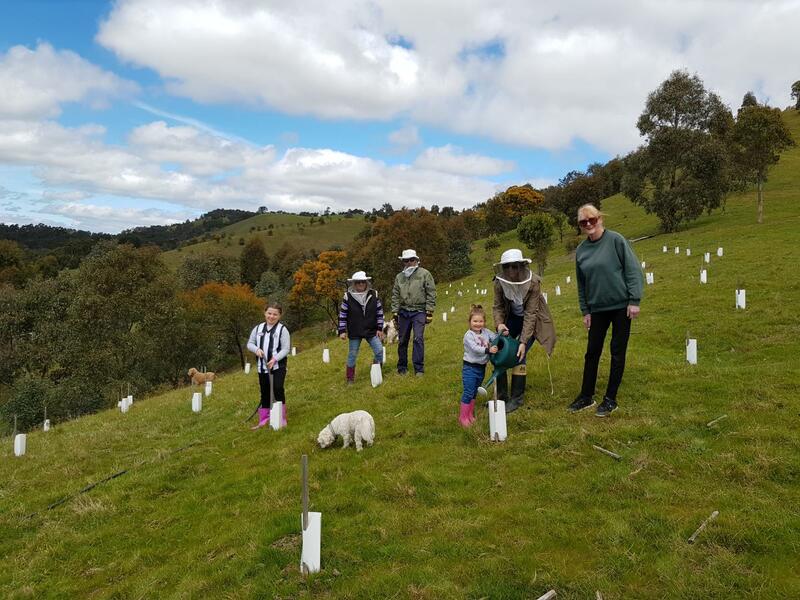 The trees were planted at a Landcare member’s property in Flowerdale. Over the course of the year, 1,200 tree seedlings were planted and guarded on this site. This is the beginning of a 4 year project for this landholder who wants to plant many more trees to enhance existing vegetation and cover the largely vacant land he has purchased. Thank you EcoTreasures for the donation of 189 trees for this particular tree planting project. The tree planting team at Flowerdale. Thank you Damien for your on-going support. As you can see, the trees have been expertly planted and guarded. 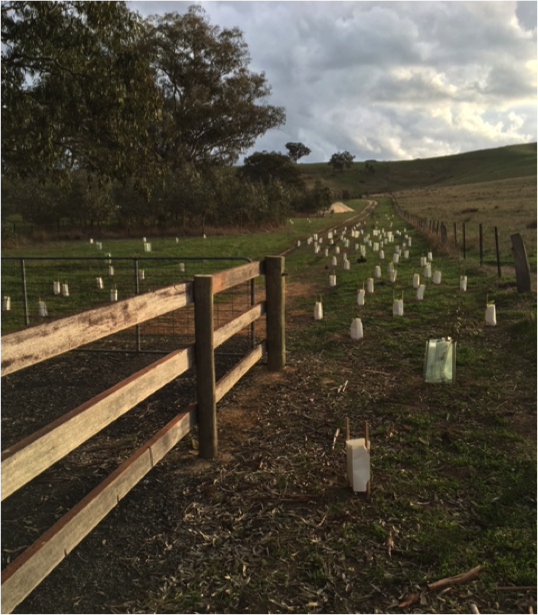 Plus … being planted on the property of a a Landcare member, you can be assured they will be maintained over the coming summer months and seasons.